Welcome to Son Bou Scuba! 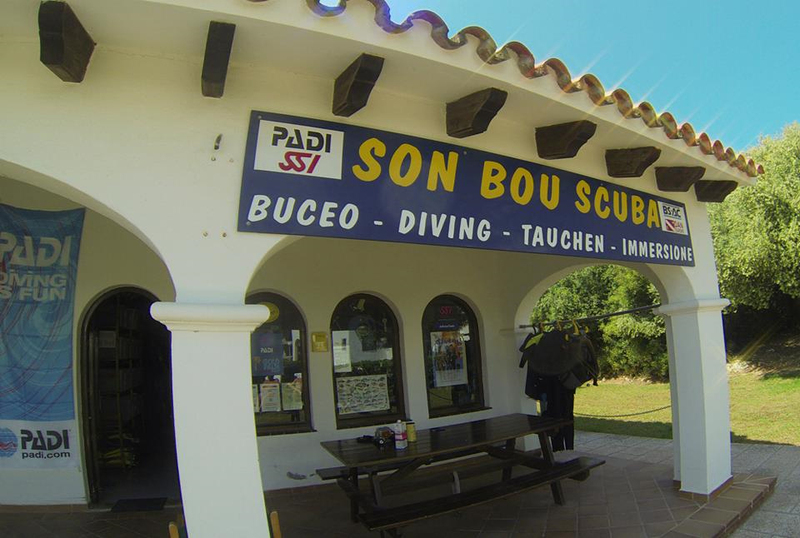 Son Bou Scuba is an expanding Dutch/German run dive centre (PADI 5 Star Dive Resort, BSAC Resort Centre) and dive shop. The centre is centrally situated on the South coast, giving access to dive sites all over the island, regardless of wind direction. We organize daily boat- and shore dives to the best dive sites Menorca has to offer! Menorca offers excellent diving, with 30m visibility in warm water (25–27°C in July / August). Stunning caves and caverns such as Pont d'en Gil, Swiss Cheese, La Catedral, Moon Pool and the Belltower are waiting to be discovered, as well as a selection of wrecks such as the Ocean Diver, the Malakoff and the General Chanzy. For those who prefer drop-offs and marine life, we offer boat dives to the Marine Reserve and several other coves, where you can see groupers and shoals of barracuda. For beginners, we offer ‘Discover Scuba’ dives in the sea on a daily basis - from 10 years onwards! These will be from shore so you can adapt to the underwater world as your comfort level allows. A Discover Scuba group will consist of max. 4 divers with their own instructor, guaranteeing safety and fun! In Spain, a dive medical is compulsory by law for any certified diver wishing to dive, or any person wishing to enroll in a course that leads to a certification. The only exceptions to this rule are for ‘Bubblemaker’ and ‘Discover Scuba’ dives. Please click on this link for more information.